Researchers at Rensselaer Polytechnic Institute have found a link between distruption in circadian rhythms -- the biological "clock" whose disturbance is linked to chronic inflammation and a host of human disorders -- and plankton that have adapted to road salt pollution. "This research shows that exposure to environmental toxins may be depressing the function of our circadian clock, the disruption of which is linked to increased rates of cancer, diabetes, obesity, heart disease and depression," says Jennifer Hurley, an assistant professor of biological sciences, a member of the Center for Biotechnology and Interdisciplinary Studies (CBIS) at Rensselaer and senior author of a published paper on the research. "This is the first time anyone has shown this happening at the level of the core clock, which we had considered to be heavily buffered against these types of environmental effects." The research builds on recent research findings by the Jefferson Project at Lake George. 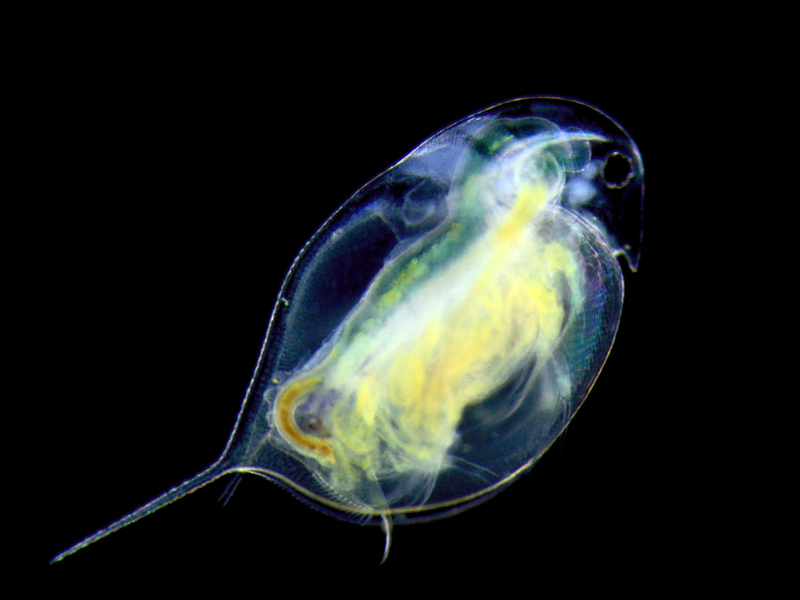 Project research found the common zooplankton species Daphnia pulex can evolve a tolerance to moderate levels of road salt in as little as two and a half months. 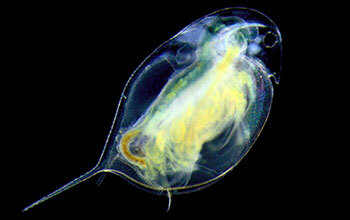 The researchers produced five populations of Daphnia that adapted to salt concentrations ranging from the current concentration of 15 milligrams-per-liter of chloride in Lake George to concentrations of 1,000 milligrams-per-liter, as found in highly contaminated lakes in North America. Rick Relyea, the Jefferson Project director and a CBIS member and co-author of the study, says that plankton -- key consumers of algae and a food source for many fish -- may be making a monumental tradeoff to tolerate increased road salt. "The circadian rhythm guides these animals through a daily migration to deep waters during the day to hide from predators and shallow waters at night to feed. Disrupting that rhythm could affect the entire lake ecosystem," says Relyea. Hurley says adaptation to salt is likely affecting Daphnia at the epigenetic level, a heritable change in gene levels rather than genetic code. The research has wide applicability in multiple fields beyond human health. The research was funded in part by a National Science Foundation (NSF) Graduate Research Fellowship.